YUEQING/China/, February 27. /TASS/. 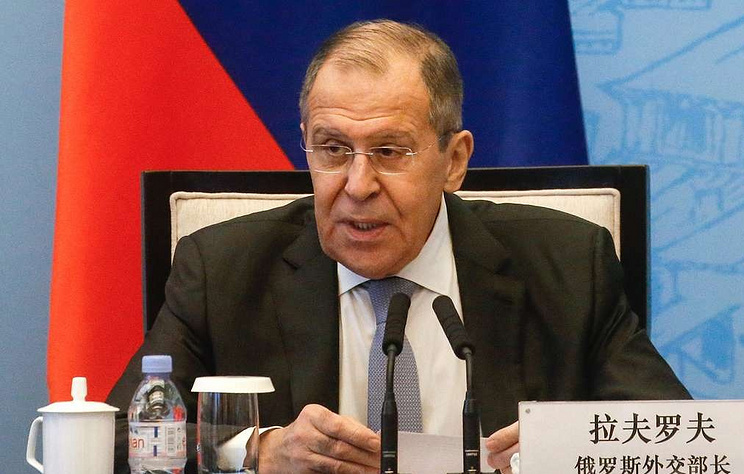 Russia keeps a close eye on brazen US attempts to create an artificial pretext for a military intervention in Venezuela, Russian Foreign Minister Sergey Lavrov said after talks with his Indian and Chinese counterparts, Sushma Swaraj and Wang Yi. "We are watching closely the reports about what is really happening there. We see how absolutely brazen attempts have been taken to artificially create a pretext for military intervention," Lavrov said. "We hear direct threats from Washington that all options remain on the table. The actual implementation of these threats is pulling in military equipment and training [US] special forces," he said. Moscow has been actively cooperating with all countries that are also concerned over the looming prospect of a military action, the foreign minister said. "It’s no coincidence that Brazil’s leadership has already stated that it won’t participate in this and provide its territory for the US for aggression against Venezuela," he noted. Russia’s top diplomat called on the United States to listen to the opinion of regional states. "First of all, we advise to focus on the ideas of the Montevideo Mechanism envisaging a nationwide dialogue with participation of all political forces," Lavrov explained. 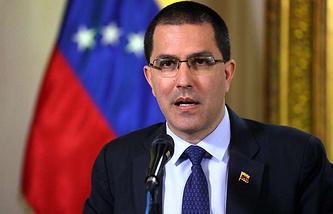 "Venezuelan President Nicolas Maduro has repeatedly stated his readiness for such a dialogue. Unfortunately, Mr. Guaido and his allies reject these proposals and only demand meeting their ultimatum on an early presidential election." Lavrov also drew attention to another alarming US statement. "Washington, which says in public that President Maduro’s days are numbered, directly states that Cuba and Nicaragua are next in line." "The US is usurping the right to use force wherever it wants in order to topple unwanted regimes," he noted. The foreign minister expressed hope that all countries committed to the UN Charter will state that such approaches are unacceptable and will insist on holding a nationwide inclusive dialogue. "Venezuela’s problems should be solved only based on the principles enshrined in the UN Charter, namely sovereign equality of states, respect for sovereignty, territorial integrity and unacceptability of meddling in domestic affairs," he underlined. In their joint communique after talks on Wednesday, the Russian, Chinese and Indian foreign ministers stressed the demand to solve the Venezuelan crisis based on the UN Charter’s principles. "Everyone without exception should respect this, including the United States," he said. Russia’s Security Council Secretary Nikolai Patrushev said in an interview with the Argumenti i Fakti weekly on Tuesday that Washington was planning a military intervention in Venezuela. According to him, US special operations forces are being deployed to Puerto Rico and the US Armed Forces’ units are landing in Colombia.